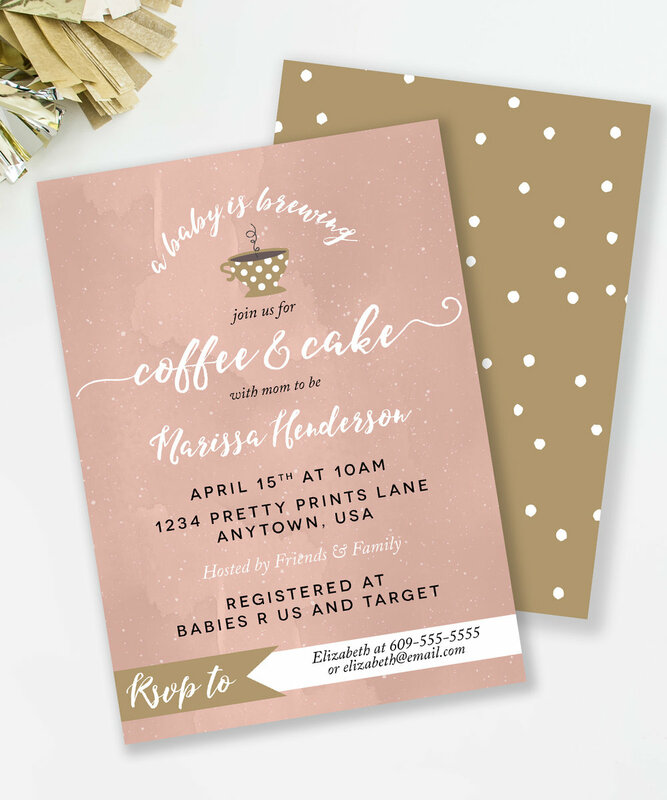 Cooler temperatures are finally on the way and we’re sharing a cozy Coffee themed baby shower with you today. 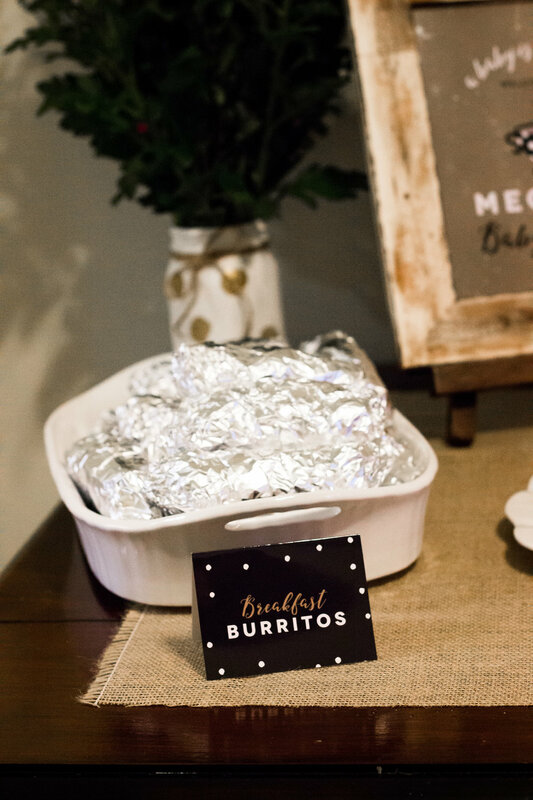 This rustic event was a fun and simple way to shower a mama who loves her coffee. 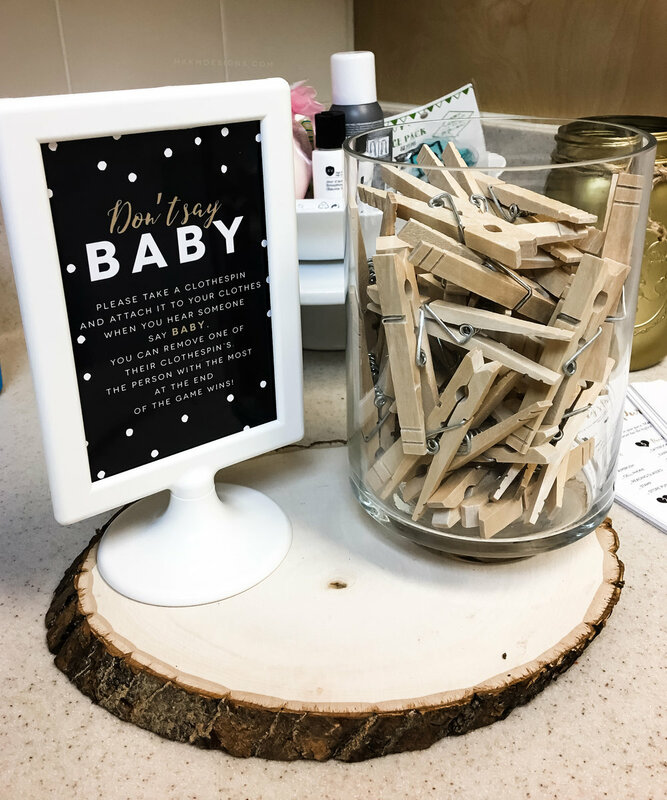 We have some pretty party inspiration and a free printable sticker that you can personalize for your own shower. This shower was on an extremely rainy and cold day, which is rare for Okinawa in the spring. The coffee and tea bar was a big hit with guests and is super easy to set up. We had a tea kettle and a Keurig available and gathered a bunch of different options. Everyone had fun mixing and matching their drink choices. 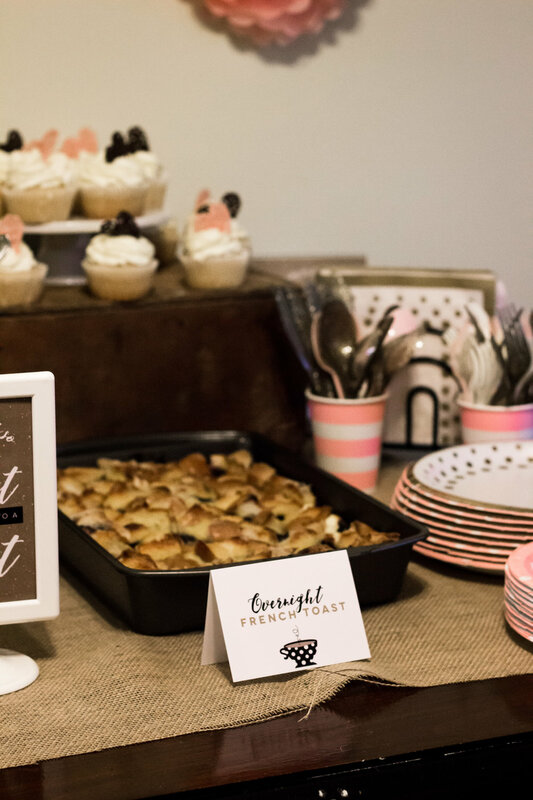 The food for the shower was brunch themed. I linked to a couple recipes, because some of these are great for any party. 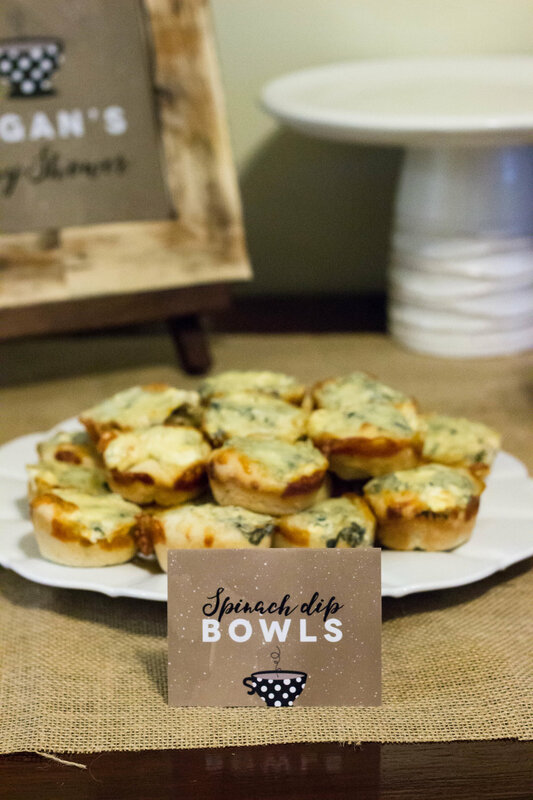 My personal favorite are the Spinach Dip Bowls from The Picky Palate. They are crazy easy and taste DELICIOUS. They are my go to for most events. We also had overnight french toast, breakfast burritos and the easiest donut tower ever. 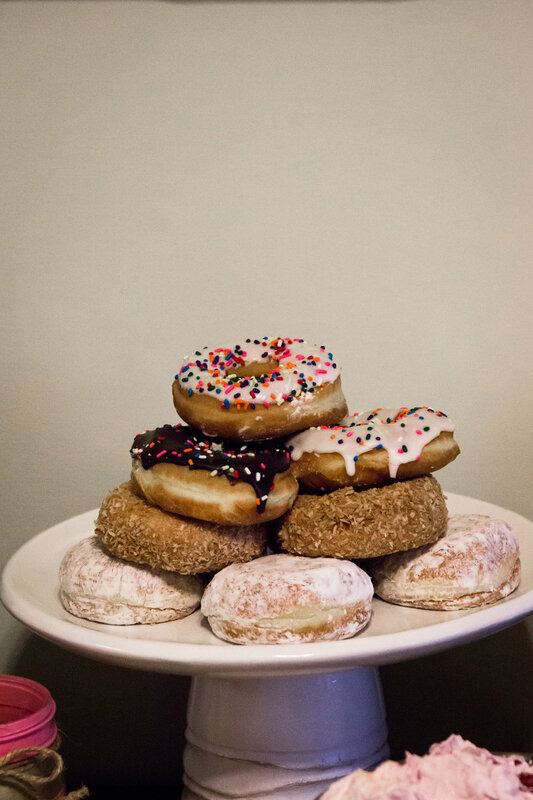 A guest brought along a dozen donuts from Dunkin and it made for an easy and delicious decoration. The pdf’s are editable versions so you can open in Adobe reader and personalize with your mom-to-be’s name and date of shower. The multiple PDF includes 12 stickers per page. Please be aware that the name/date will be the same for all stickers. If you need various names, etc, you would need to use the single version instead. 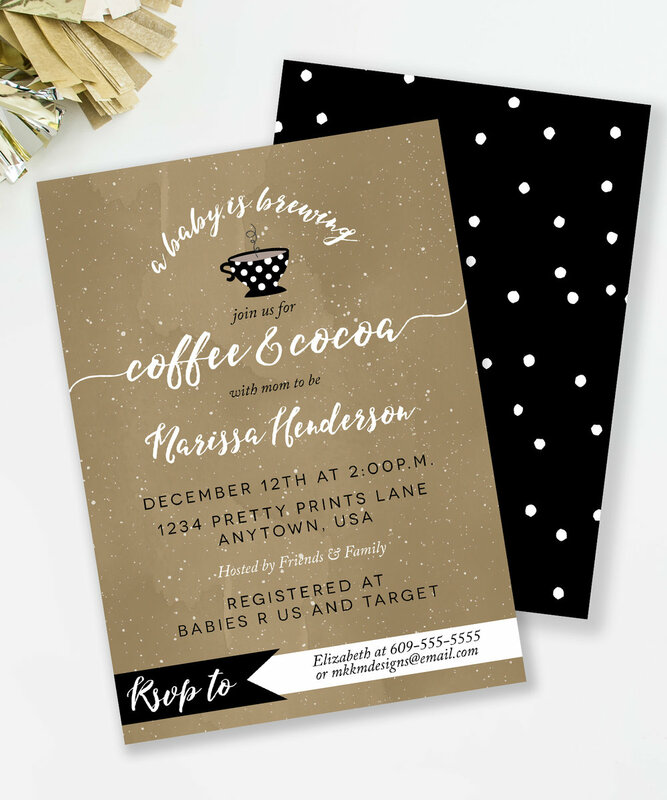 While this event was a “Coffee and Tea” theme, we also have the invite available in a “Coffee and Cake” and a “Coffee and Cocoa” theme perfect for winter time. Grab all of the matching printables in our Etsy Shop. We had a special request from my lovely friend over at Golden Coast Crafts, for a pink version of this theme. 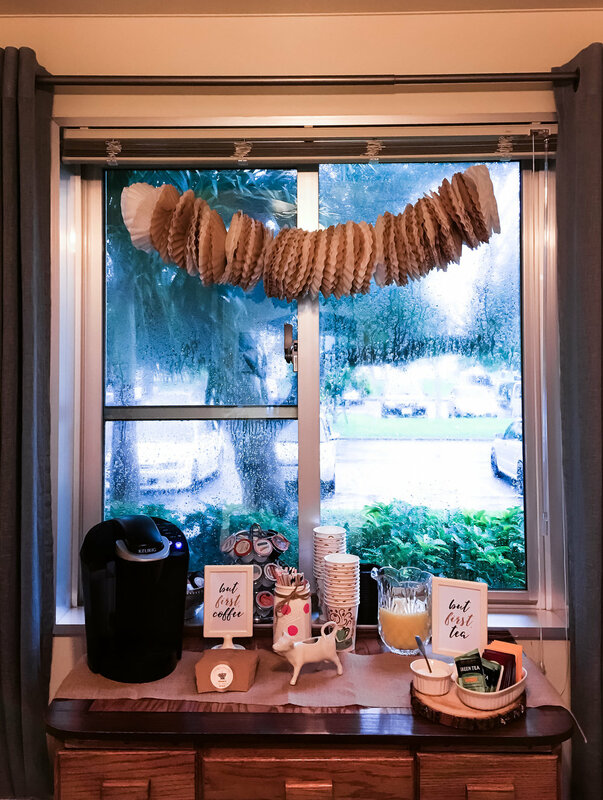 She created a make your own mug station at a Baby Shower she hosted. It turned out so cute! Thanks for sharing Alex!